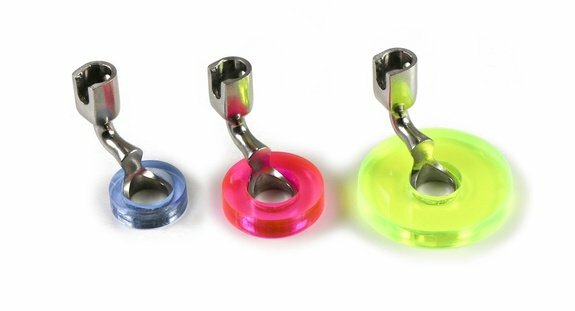 The Echo Feet Kit is a set of three feet, each fitted with an acrylic ring that extends the width of the hopping foot. The feet provide a fixed interval to use when echo quilting around a motif or using rulers. For example, when using the edge of the standard ruler foot, there is a 1/4-inch distance from the needle to the edge of the hopping foot. The Echo Feet provide a 3/8-inch interval, a 1/2-inch interval, and a 3/4-inch interval. Video for Couching Feet for a video on using the Echo Feet.